Safe operation and high availability of turbine systems make great demands on the reliability and consequently on the quality of the components used. 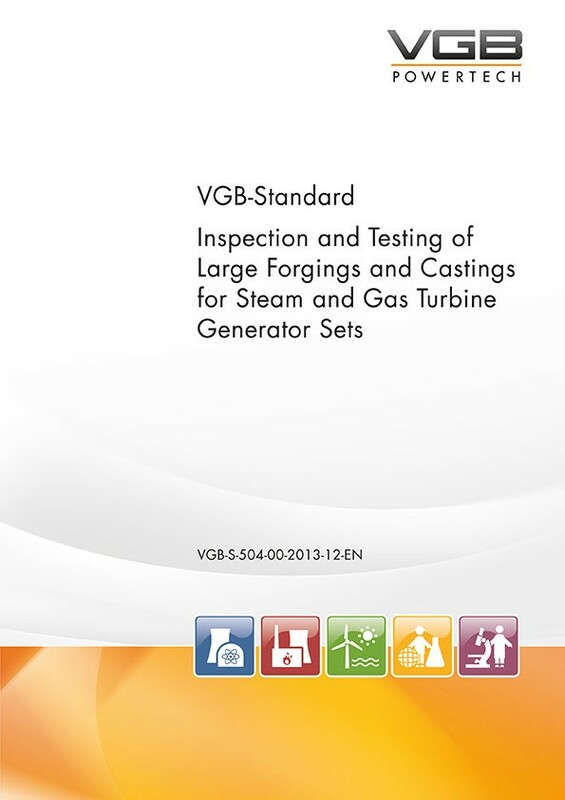 The experience gained in the fabrication of large forgings and castings has been evaluated and considered in drafting this VGB-Standard in order to contribute to enhancing the operating reliability and availability of the turbine systems. the vertical lines in the margins of some paragraphs have been removed, which means that the content of the paragraphs concerned has now become binding. This VGB-Standard is intended to support the co-operation between the parties involved; application of this standard, whether in whole or in part, shall be agreed between the customer and the contractor. Requests for amendments raised by turbine generator set manufacturers necessitated a revision of the 2013 edition of this standard. In the context of the revision, the topic of “Ultrasonic testing of turbine shafts”, among other aspects, was jointly revised by experts from users and manufacturers.